A Product You can Trust! Multiple studies have shown omega-3 fatty acids (found in fish-oil) can reduce the risk of heart disease by as much as 68% and are so effective at fighting other inflammatory diseases like Alzheimer's and Arthritis. Remember... it's all about inflammation! But most fish-oil supplements contain toxins and should be avoided. This was confirmed by a report on Good Morning America where we learned the top 10 selling fish-oil supplements were tested and found to contain elevated levels of PCB's, including GNC, Solgar, Rite Aid, Nature Made, Walmart, Walgreens, and others. Why is this important? Because PCB's were outlawed decades ago. Why? Because PCB's cause cancer! The "experts" on the show recommended you chose the one with the least amount of PCB's!! What? Why not choose one with "ZERO PCB's? Mercury is also a big problem. A significant number of people have had mercury poisioning from fish-oil supplements they thought they could trust. NOTE: Do you know your C-Reactive Protein level? CRP measures inflammation in the body. Many feel it's much more important than Cholesterol levels. You gotta have heart! 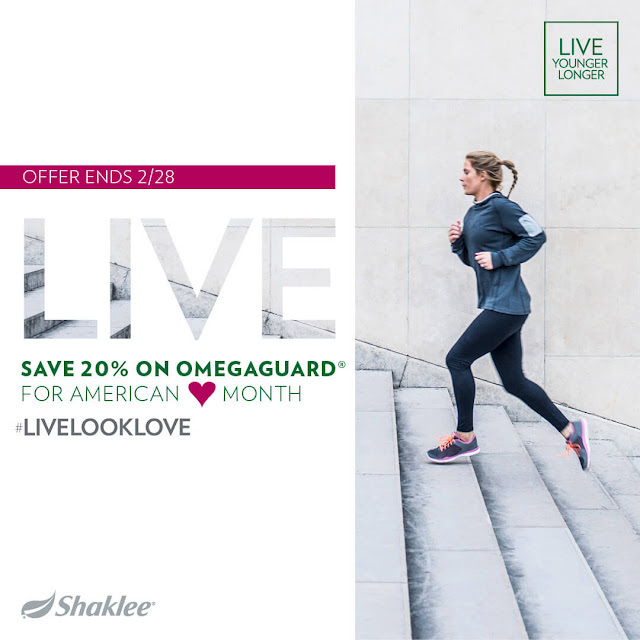 Save 20% on OmegaGuard through February 28 only. Offer valid on both the 60 and 180 count sizes.